François Jacquemin is Head of Products & Solutions of Allianz Global Benefits as of October 1, 2013. Since January 1, 2017 he is also responsible for the development and implementation of a centralized global corporate protection solution for Allianz Lebensversicherungs-AG on behalf of the Allianz Group. Before this he managed the project team which developed the strategy of the new unit. François started his career in 1997 as first employee of Nemian Life & Pensions, an international Luxembourg life insurance start-up, which he participated to build from scratch and which became part of the Allianz Group in 2001. 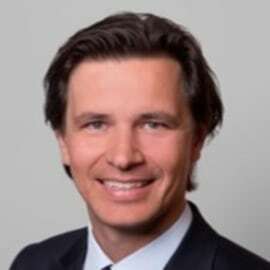 François held various positions including product management and business development where he implemented distribution partnerships in several countries. In 2006 he was appointed CEO of Nemian which he restarted in 2009 with an employee benefit product for expatriate bundling life pension and health products into one proposition sold and administered on the internet. François is civil engineer in applied mathematics and holds an MBA.